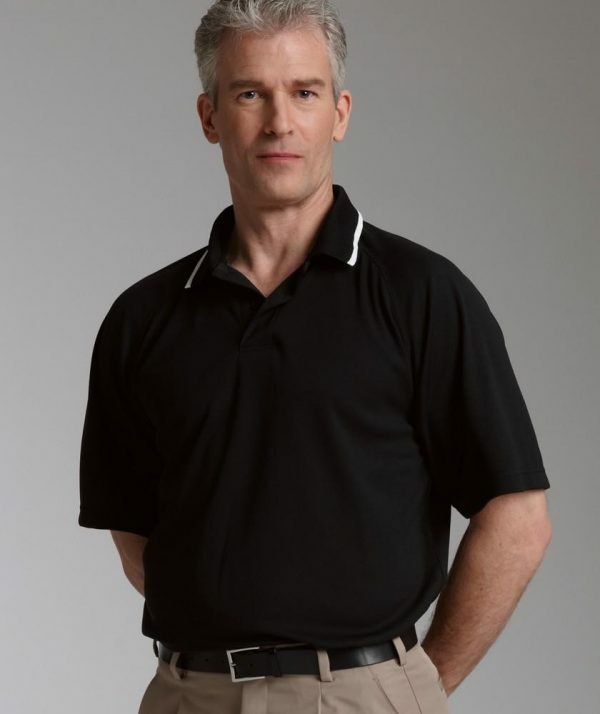 SKU: CR-3811 Categories: Corporate Apparel, Men's Corporate Apparel, Men's Corporate Shirts, Men's Polo Shirts Brands: Charles River Apparel. 100% polyester pique knit 4.87 oz/yd2 (equiv to 8.11 oz/lyd, 165 gsm) made with TopShield? moisture management and anti-microbial treatments. Provides UV protection (tested and rated to provide a UPF of up to 27). Solid body & rib knit collar accented with white tipping. Taped neckline for clean, finished appearance and tagless neck label for comfort. Side-seam vents. Dyed-to-match buttons (2-button placket on men’s and 5-button placket on women’s). Men’s features raglan sleeve design for wide range of motion.